WARNING! THIS BLOG MAY BE TOO MUCH INFORMATION! IT MIGHT BE TOO GRAPHIC FOR SOME READERS! READ ON AT YOUR OWN RISK! DAY ONE- THE SURGERY. On Thursday, February 3rd, 2011 I checked into Saddleback Memorial Hospital in Laguna Hills. I like this hospital because it is just a few blocks away from my home, and both of my granddaughters were born there. I actually have great memories in this place. We had to arrive very early, 6:30 AM. I had to awaken at 5:00 AM and give myself a Fleets enema. (what a bother) and could not take certain medications like aspirin or glucose reducing drugs which I take for my diabetes type II and cholesterol level. We arrived at the hospital, my wife, Vicki and I, and paid $400.00 deductible at check in. I had to undress and put all my clothes in a bag, and put on the backless gown and lay down on the gurney which I would be on for surgery. First, a nurse put an Intravenous (I.V.) tube in a vein of my right arm. She was careful to verbally verify my name and allergies, and put an identification band around my right wrist. Then my anesthesialogist came. He was very attentive and caring as he discussed how he was going to administer the drugs to put me under. After explaining what he was going to do and re-verifying my name and allergies, he hung the drip bag, and I started to feel drowsy. 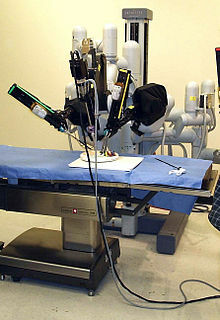 I said good-bye to Vicki, and they wheeled me gently into the operating room. I recall it looked very cluttered. 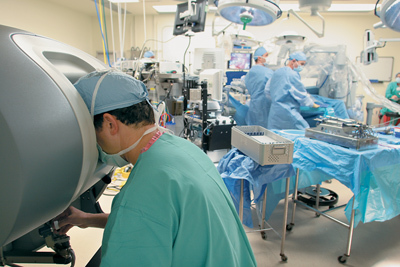 There were three surgeons and two attending nurses in the crowded room. 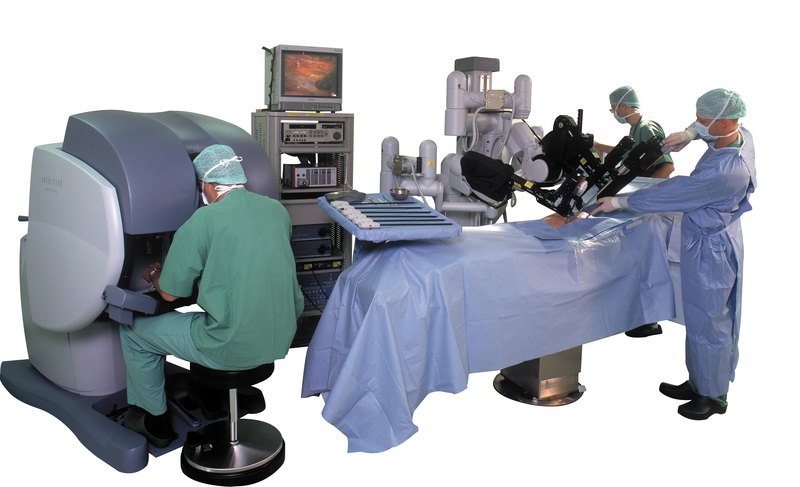 It did not look like the operating rooms you see on television or movies. It looked like a storage room filled with equipment, covered with plastic and cloth sleeves. I recall someone talking to me, but was so drowsy I couldn’t respond. Then… white light. This procedure only left 5 small incision scars. 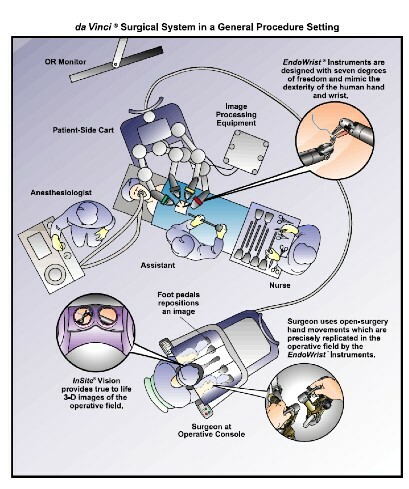 The Da Vinci Surgical System is amazing. Thank you for asking. I am cancer-free. My prostate is mostly gone and there is no cancer in what is left. My colon is also cancer-free. I had a colonoscopy as a safety check to see if the cancer had spread there, and it also was negative for cancer cells. I have fully recovered from the surgery, except for a few side-effects which I will be blogging about later. I believe this is one of the most significant facts for me. And i’m glad reading your article. But wanna remark on some general things, The web-site style is terrific, the articles is truly good :D. Very good job, cheers. Thank you for your positive comments. I believe by including the links in my blogs it helps people learn what they need to learn to make their own choices.